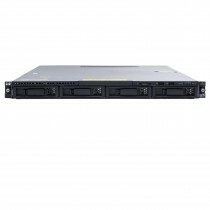 The HP ProLiant range features many 1U rack-mount servers ideal for corporate customers looking to maximise performance per rack space for data centre deployments. The evergreen DL360, one of the most famous and resilient of 1U servers series ever made, is a solid performer in all of its iterations, with the DL360p Gen8 currently offering an excellent price v performance ratio. 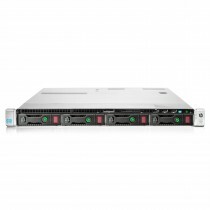 HP ProLiant 1U rack servers make for ideal web, file/print, dynamic computing, rendering and virtulization servers, as well as their core role in enterprise datacentres and server farms. The DL360 range in particular provides excellent versatility with later models providing dual socket system boards with E5-2600 V1 through V4 compatibility boasting more than a 20% increase in speed compared with earlier 5600 series generations. On the storage front the HP Smart Array RAID range features up to 12G throughput speeds of 12GB/s with SAS/SATA SSDs and HDDs. Through the generations of HP ProLiant systems, both DDR3 and DDR4 RAM is supported, in servers such as the HP DL360p G9 supporting up to 3TB RAM in a compact 1U, quiet, tool-less chassis. With hosting providers raising their rates to meet increasing energy costs, increasing your performance per U is essential for each co-located server rack unit. With thousands of configurations available for each model of ProLiant 1U server Bargain Hardware can accommodate your budget and performance requirements. If you have any questions or wish to speak to a sales engineer, you can use the live chat function or call the office on +44 (0) 1254 878 801.